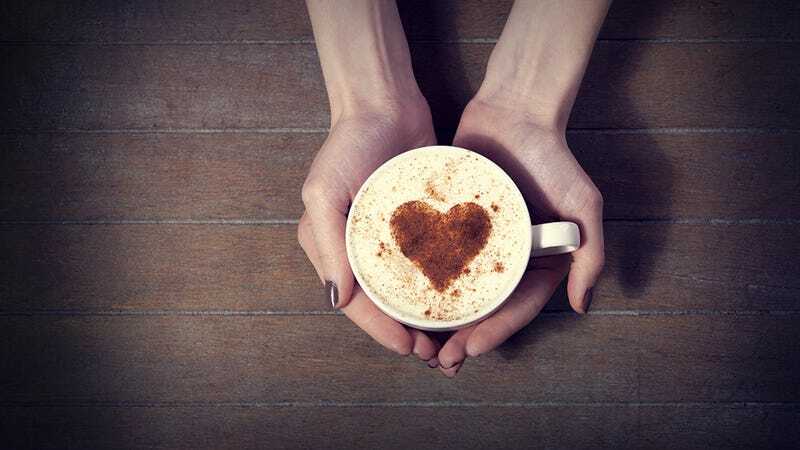 National Coffee Day is one of the better fake food and drink holidays because businesses tend to celebrate by giving a free cup of it (usually hot, and usually the smallest size) to java-loving customers around the country. But after finishing that serving of hot, life-giving nectar, how do you spend this blessed day celebrating the drink that gets your motor running every morning (and, if you’re a real javahead, every afternoon)? The answer, of course, is buying yourself a piece of java merch! In addition to my love of java, I have a love of the love of java. Mugs and towels and pieces of distressed wood covered in javaisms are my kryptonite, and that makes Etsy planet Krypton. *I should not say enjava. 37. Coffee. Because crack is bad for you. 35. Coffee. Liquid joy sauce. 31. Coffee keeps me going. 30. Coffee is the answer to everything. 29. Messy bun. Yoga pants. Large coffee. Bring it on. 28. I just want to drink coffee, save animals, and take naps. 27. Coffee is not a beverage. It is a moment for pleasure. 26. Everybody should believe in something. I believe I’ll have another coffee. 24. If you bring me coffee without having to ask, then I love you. 21. With enough coffee, anything is possible. 20. Forget calm I need coffee! 19. I sleep just to wake up for coffee! 17. I just wanna sip coffee and pet my dog! 16. I don’t have enough coffee...or middle fingers today. 14. I like big cups and I cannot lie. 13. All the coffee in Colombia won’t make me a morning person. 11. Coffee. You can sleep when you’re dead. 8. No coffee no workee. 7. No coffee no talkee. 6. Bring me java, bring me joy! 5. I’d stop drinking coffee but I’m no quitter. 4. Life begins after coffee. 3. Yawn: a silent scream for more coffee. 2. I didn’t choose the mug life. The mug life chose me. 1. I eat salad every day. Bean salad. Coffee bean salad. ...Coffee. I drink coffee every day.